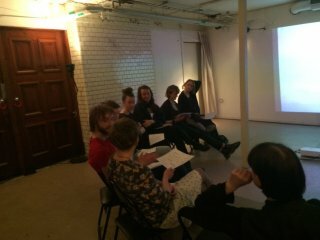 A different artist is invited every session, with the commission to answer with their eyes, their ears, their hands or thought to the reading circle, with a material that can be printed on paper. 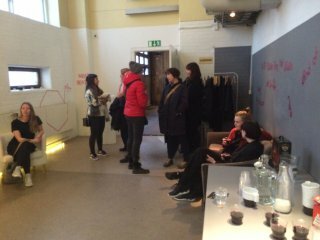 The invited artist participates on the same conditions as other participants; as spectator/listener/witness or as reader/dancer. The document that the artist creates will be published at the following Sunday Circle. Frida Sandström is invited to document the first reading cirlce. Manon Santkin (BE) is a free-lance artist and she works between Brussels and Stockholm. Within the field of the Performing Arts, she operates as a dancer, choreographer, artistic advisor, process assistant and writer. She graduated from P.a.r.t.s. in 2004 and recently finished a Master in News Performative Practices at Doch in Stockholm. Manon regularly takes part in the processes of other artists as a mentor, advisor or dramaturge and sees her role as an interpreter morphing into that of a facilitator of collaborative processes. She has been collaborating with choreographers Mette Ingvartsen, Salva Sanchis, Xavier Leroy, Sidney Leoni, Eleanor Bauer, Cecilia Lisa Eliceche, Daniel Linehan and Leslie Mannès. She also develops projects with sound artist Peter Lenaerts and with designer Nicolas Couturier. 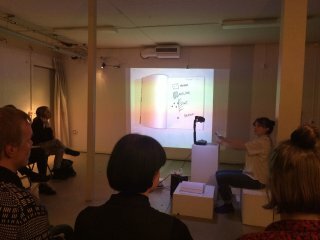 In her current works Manon revisits the notion of ‘interpretation’ in terms of an ecology of practices and intelligences, selforganization and interactive agencies. 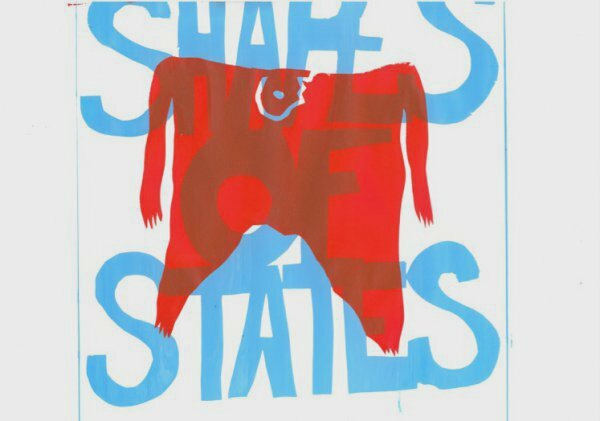 “Shapes of States” traces the historical and political writing of the body by connecting Swedish public health ideologies from the 1920’s with contemporary training ideals. Seeing the body as malleable material, which are the means through which we sculpt it? And what is the daily shaping of the body doing to the way we shape society? With a starting point in Meyerhold’s biomechanics the dancers in “Shapes of States” develop a movement vocabulary far from any idea of natural behaviour. In a series of dances they tell the broken story of a human belief in the disciplining of the flesh. The performance will be visual descripted, offering various perspectives on how to perceive the form and content of dance. The visual description will be performed by the dancers and will interpret what is happening on stage, what is happering in the world and what is happening in fantasy. You are welcome to take part of this, whether you have a visual impairement or not. 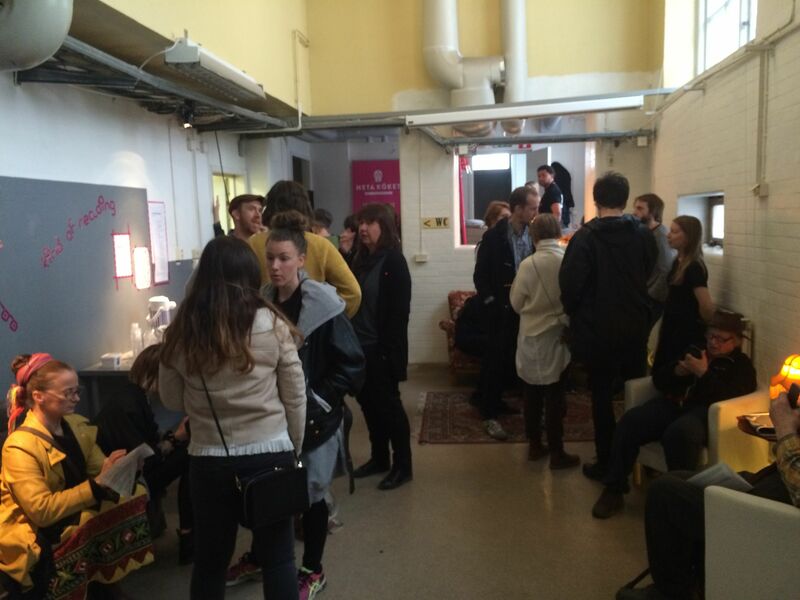 To book visual description, send an e-mail to sara@mdtsthlm.se. An introduction for audience with visual impairment takes place 15 minutes before the performance. Choreography: Stina Nyberg. Performers: Andrea Svensson, Sandra Lolax, Sindri Runudde and Stina Nyberg. Set design: Tove Edlund Dreiman. Costume: Tove Edlund Dreiman and Sandra Leandersson. 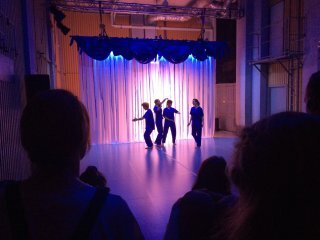 Lighting design: Josefin Hinders. Dramaturgical adviser: Manon Santkin. Producer: Sara Bergsmark. Administration: Interim Kultur AB. 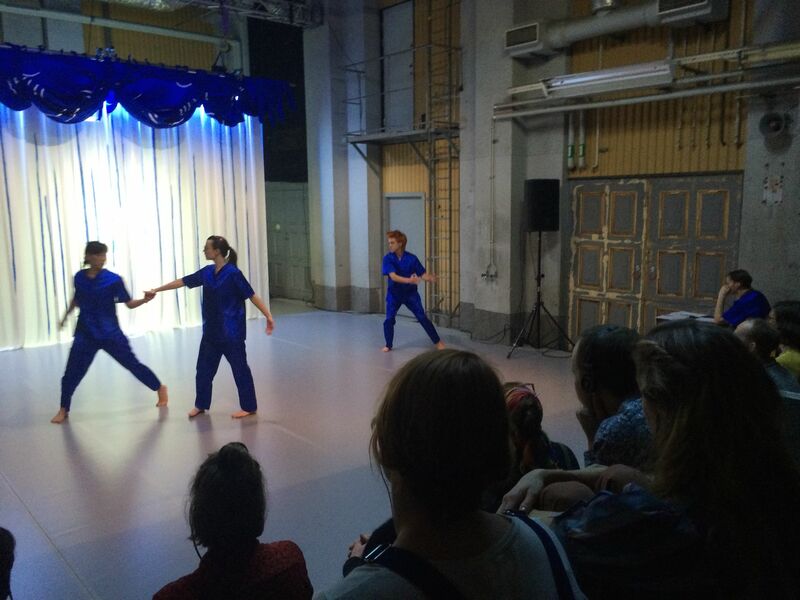 Production: MDT, Inkonst, Norrlandsoperan and wpZimmer. Supported by: The Swedish Arts Council, The Swedish Arts Grants Committee, The Municipality of Stockholm and The City of Stockholm. This presentation is part of the project [DNA] Departures and Arrivals, which is co-financed by the Creative Europe program of the European Commission.